Some 66 million years ago, an asteroid struck the Earth with an estimated strength of 10 billion Hiroshima A-bombs. It carbonized everything around it and caused planet-wide extinctions. Among the havoc it wreaked, the asteroid is perhaps most famous for wiping out the dinosaurs. But somehow, it spared some birds. A new study analyzes why. 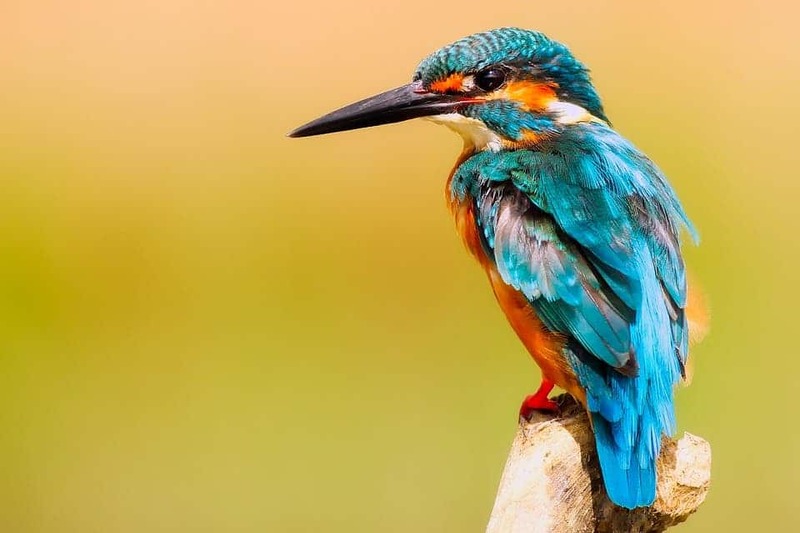 Birds such as this adorable Kingfisher almost certainly wouldn’t have survived the cataclysm. Most people believe that birds are related to dinosaurs, but that’s only partly true. Technically, birds are dinosaurs, and when we’re talking about the dinosaurs being extinct, we should say that non-avian dinosaurs are extinct. But technicalities aside, birds somehow managed to escape the devastation — at least partially. What allowed them to escape the mass extinction? According to a new study, living on the ground as opposed to the trees made a big difference. The asteroid destroyed forests or severely damaged forests worldwide, and it took centuries or even millennia before they could recover. This would have spelled disaster for tree-dwelling birds, which greatly relied on forests to survive. Meanwhile, grounded birds would have still had a fighting chance. Researchers analyzed plant fossils, confirming that global forests collapsed in the wake of the asteroid’s impact. Moving one step further, they used the evolutionary relationships of living birds and their ecological habits to track how bird ecology changed in the aftermath of the meteorite impact. This indicated the same thing: the most recent common ancestor of birds likely lived on the ground. At the time, many birds had developed flight and spent much of their time in the trees. It’s unfortunate, and somewhat ironic, that birds which dwelled on the ground (even those which couldn’t fly) would have been more likely to survive.